Treat stress, anxiety, depression, and more with simple herbal remedies that strengthen and build a healthy nervous system. 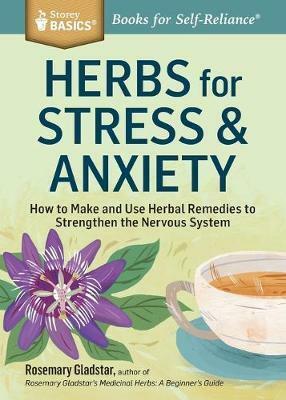 Best-selling author and respected herbalist Rosemary Gladstar profiles 21 herbs proven to be effective at soothing common stress symptoms such as panic attacks, depression, headaches, migraines, herpes, and insomnia. Enjoy the herbs in tea decoctions and infusions, take them as capsules or tinctures, and relax in warm baths enhanced by their calming scents.